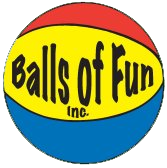 Balls of Fun is entering its fifth year of getting families active by practicing ball skills together. It was five years ago when Orca Coast Playground Ltd. built the structure that I had envisioned for children and adults. I remember calling a whole bunch of companies that makes soft-play structures for children. All of them had some type of road blocks to what I wanted. They were not willing to adapt or listen to what I wanted. They tried to upsell, when all I wanted was a very simple structure that would provide family fun and a good work out for both kids and adults. Plus, I needed it to fit into an inlet in the facility. Additionally, I wanted to be able to see the children at all levels of the structure, from ground level, to cut down on bullying. Also, each level had to be high enough so that adults could stand – (Perhaps this is the reason why some companies stopped listening to me… LOL.) But, guess what? Orca Coast listened and delivered what I wanted in a structure for Balls of Fun. They did not try to add any bells or whistles. Instead, they gave me some great ideas that have made the structure a big part of why the children leave Balls of Fun smiling and sweating. Moreover, Orca Coast designed, made, delivered and built the structure ahead of time before our grand opening, November 4, 2006. Since then, Orca Coast has continued to provide me with outstanding customer service. They are there to answer my questions and provide the extra materials or parts needed to ensure the safety and maintenance of the structure. I would strongly suggest to stop searching and analyzing what other companies have in mind for your structure. Call Orca Coast and get the structure and support you have envisioned for your business! I would like the opportunity to thank you and your team for the fabulous work building our climbing structure. The job was completed on time and without problems. Working with Orca Coast has been a great experience, especially when you are just starting up and everything is new for you. Your expertise on the business, and the customer service you provided us met and exceeded the expectations. There is no doubt we choose the best company to work with. I would highly recommend Orca Coast to anyone embracing this business. I am so looking forward to keep working with you on our future ventures. Hi Orca, I just wanted to let Orca Coast know that over the past year, while contemplating & then actually opening Speckled Frogs, you guys were the one component that never faltered. You always followed through and delivered exactly the way you said you would, or over & above. Your intergrity never wavered.Orca Team, you were such a pleasure & calming force to deal with, and I always felt like you were seeing my exact vision! I just wanted to say ‘thank you’ to Orca Coast for making one of the biggest components of our indoor playland such a stress-free & pleasurable experience. Come & Party Where You Can…SET YOUR FROGGIES FREE! Marlyn Katerenchuk, Speckled Frogs Inc. I wanted to drop you guys a line to tell you how happy I am with my new play structure (And the kids love it too)! To say the least, putting together our new indoor play facility here in Boise Idaho has been a real challenge. At times it was perhaps even overwhelming. But the play structure was the easiest part. You guys said what you were going to do, and then did it. It was a smooth and easy experience. The communication was always good and if I did have a question or concern Orca was always at the other end of the phone. As would be expected, we were very excited to have the play structure arrive and could hardly wait for it to be installed. Not only did your installers do a great job, they worked very well together. They showed a level of commitment to their job that is not seen very often. They were on time, respectful, diligent and polite. They cleaned up their work area at the end of each day, and dealt with the construction of it all with ease, real pros! Once again, many thanks for a job well done! We look forward to adding on to our play structure someday soon. Cheers! It was a pleasure doing business with you and Orca Coast Playgrounds. Please add Foothills Community Church to your list of 100% satisfied customers. The indoor play structure is phenomenal! The design is incredible! The artwork for the theme is super. I am more than happy to give you and your company a great reference. We’ve had many church leaders from other churches checking out our new facility and they’ve been totally “wow’d out” by what they see.With your help we’ve been able to create an atmosphere where kids can’t wait to come back to. We’ve heard kids ask, “Do we have to go home already?” and “Can we come earlier next time?” and “I wish every day was church day.” Creating a love for the local church is one of my goals. Another goal is connecting kids to our amazing Lord and Savior, Jesus Christ. This is exactly what’s happening at Foothills. We give all the glory to God for allowing us to reach kids where they are. Thank you for helping make this whole thing possible. Denise Mehl, Jungle Java Inc.
Orca Coast is truly a great company to work with for our ever so important clientele…kids! Orca truly cares and you should too, like us you should choose Orca. Kids Little Smiles is very pleased with Orca Coast Playgrounds. We have had our playland for almost 2 years and compliments daily. Our office is limited to children. Every child and parent that comes in the door is amazed with the play land. We hear a lot of “Whoa”, “Cool”, “That’s Awesome”. The Children LOVE coming to the dentist so that they can play on our 3-story play land (and see the Doctors and staff of course). Thanks Orca Coast Playgounds! You have been a big part of making dentistry fun for Kids!